Eryk Thurber guides his oxen team during the Four Town Fair working steer competition. Oxen competition organizers set up the course. Woody Aborn has been the superintendent of the Four Town Fair working steer competition for nearly 20 years. Competitors and family members mill about before the start of the competition. 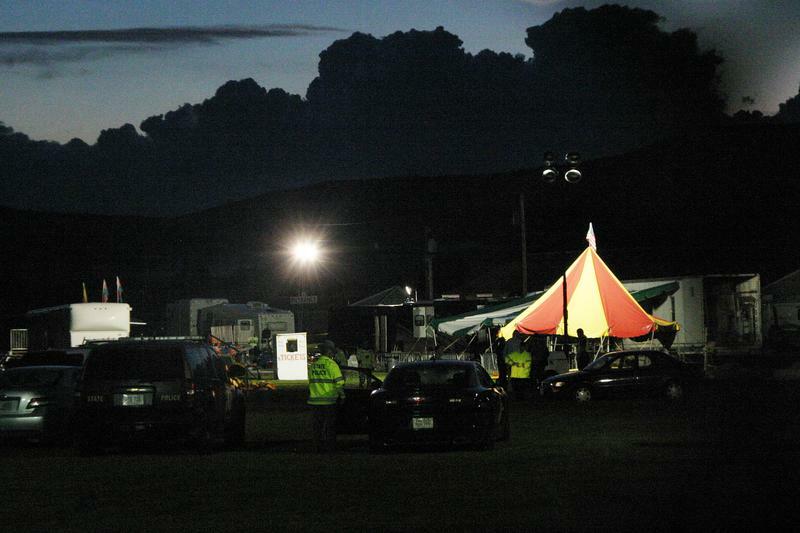 The Four Town Fair’s website says it is currently investigating the possibility that may be the oldest fair in New England, and possibly, the oldest in the nation. For several hours, competitors guided their oxen teams through different obstacles. In the morning, the line of oxen teams waiting to compete stretched outside the gates of the ring. The role of oxen today is often solely to compete in working steer competitions. 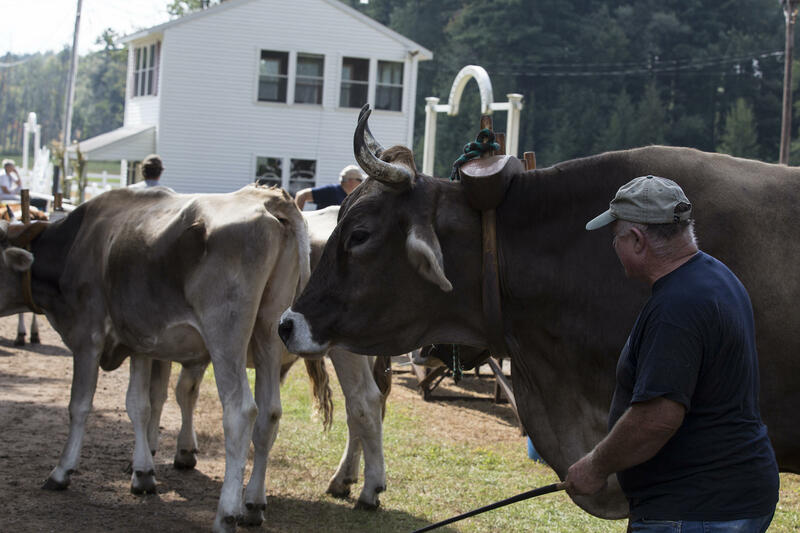 For several hours at the Four Town Fair in Somers, Connecticut, teamsters guided their oxen through different obstacles and simulations of traditional farm work. Woody Aborn, the competition’s superintendent, said the earliest versions of the steer competition in Somers can be traced back to the mid-1800s, when farmers would compete to see who had the best team of oxen. Oxen were eventually replaced by horses and tractors on farms. Aborn said that today, the role of oxen is often solely to compete in working steer competitions. Aborn has been organizing the competition at the Four Town Fair for nearly two decades. His father was also a superintendent. “There’s always been an Aborn at the fair doing something,” he said. His son is a working steer judge at this year's Big E.
On Saturday morning, September 19, 2015, oxen teams at the Four Town Fair wait to compete outside the gates of the ring. Eryk Thurber, 17, of Foster, Rhode Island, said the competition in Somers was one of eleven he was taking his oxen team to this year. Thurber is part of a 4-H group called the Connecticut Whiplash Teamsters, based out of eastern part of the state. Watch part of the working steer competition at the Four Town Fair below. Thurber said the training process begins when the oxen are about a month old. They first learn basic commands while on a halter, and can start competing as young as six to eight months old after the two oxen learn to work as a team. With time, oxen are able to learn more advanced techniques such as “parallel parking” and “side-stepping,” Thurber said, where they walk sideways and pivot the cart on one wheel. In the morning, the line of oxen teams waiting to compete stretched outside the gates of the ring, and teamsters and spectators watched from bleachers set up outside the fence. Thurber said that many people come to the Four Town Fair working steer competition because the prizes are hefty compared to other fairs. The first place prize that day was $100. 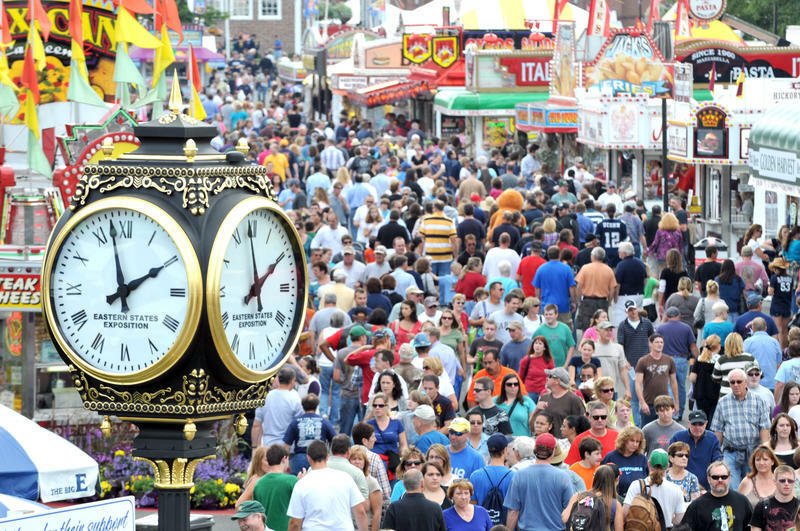 For a list of upcoming agricultural fairs in Connecticut, visit the Association of Connecticut Fairs. Stephanie Riefe and Zachary LaSala contributed to this report. People like to see stuff get wrecked. Which is why demolition derbies are popular attractions at county fairs. A county fair in the Midwest is offering a new twist on this staple of Americana. 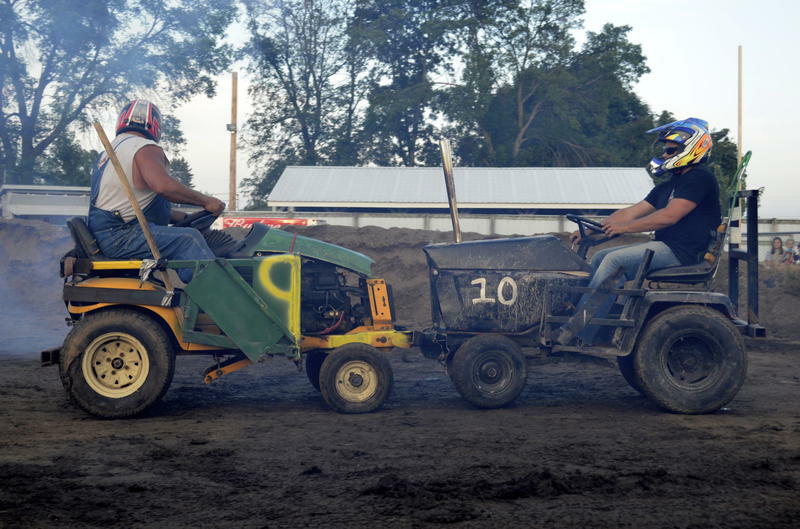 Instead of a demo derby featuring old cars, one county fair in Minnesota is sponsoring a smash-up derby featuring riding lawn mowers. If you’ve ever pushed a lawnmower or ridden one, you need to meet these people. Welcome to the Lawnmower Demolition Derby at the Goodhue County Fair in Zumbrota, Minn.
It’s September, and apples are clustered on tree branches across New England and New York. Orchardists are expecting an ample, though not quite bumper, crop across the region. We can't resist passing along the phenomenon that is Noah Ritter, a young man who's taking the Internet by storm. The 5-year-old's interview at Pennsylvania's Wayne County Fair is a wonder of stream-of-consciousness, sprinkled heavily with one word: "apparently."